The dudes at crawl.akrasiac.org have announced a public tournament to take place during the month of August! It is time to prove your dungeon crawling skills against talented crawlers from all around the world! * You play as many games as you want for the entirety of August. * Wins get you meta-points, especially for the fastest or first or streaks. * High scores in race/class combinations get you meta-points, especially if you have the most of them. * Getting runes and killing uniques also get you meta-points, so you don’t need to be a Crawl Champion to get your name up on the scoreboard. * Clans of six players or less are encouraged and clans have their own special additional meta-points to determine which clan wins. * There should be at least one server in the US and at least one in Europe; if you’re interested in hosting a server, please send me email. 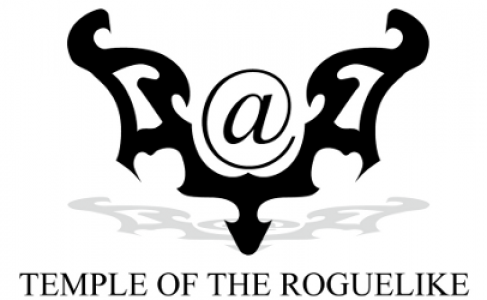 Also, join roguetemple’s clan and fight for glory and fame! Lo and behold! Who says that magic is dying! Here is living proof that it is not! What happens when you dont post for eighteen days? lots of things going on into this, our small roguelike world! After a big rush this weekend, I succeeded in almost finishing what was remaining to do. Thus here is version 0.0.9, still not fully playable, but with a lot of new functionalities which are detailed below. Après un gros rush ce week-end, j’ai réussi grosso modo à terminer ce qu’il restait à faire. Voici donc la version 0.0.9, toujours non jouable, mais avec pas mal de nouvelles fonctionnalités qui sont détaillées ci-dessous. The new version includes improvements on tbe world generator for forests and deserts, a new musical introduction, animals, isometrical view for zones and several bugs destroyed. Keep on it Altefcat! Subterrane v0.224, from Tarindel, the same guy of dev-spot, is now available for download. The game now runs on linux and there is a lot of new content, including magical items, non physical damage, textbooks and many more things. It’s crawl, but in hex. “Why?”, you ask; “Why not?” I cunningly retort. HellBand 0.8.6. by Sir konijn_ of Montreal (aka Mr. T) has been released. A new release is ready, and this time I will keep on working on Hellband. This release is mainly fixing my pet peeves with the game without breaking save game file format. I will break it for 0.8.7 which should come out fairly soon. The Dungeon Creation contest at the Dev-Spot forums has finished, congratulations to the 6 challengers! konijn’s undead desert terrain generator — Interesting use of browser transparency and hexes. Icey’s town generator — Love the fact that it includes a brothel. The trees, statues, lakes, and flowerbeds add a nice touch. sinoth’s island generator — Very interesting, I especially like the minimap. gerryq’s dungeon generator — I’ve never seen a dungeon generator do multi-width hallways. The generated dungeons are pleasing. microwerx’s dungeon generator — I like how you linked the stairs via html. Clever! Seventh Holy Scripture’s forest generator — The forests look very lush. My pick for winner of this contest is… Seventh Holy Scripture, even though the river always goes left. Heh. What should I be doing with patch release announcements? I’ve been patching frequently, and I don’t want to spam Usenet. An interesting 7DRL based on DarkGod’s T-Engine, Zombie Horror, has been released. the game seems to be pretty nice and to make a good work at setting up the mood, it includes sound and… zombies! What do people have with Zombies and Sewers on roguelikes, I wonder? This is a variant of the original Advanced Rogue 5.8 with some additional magic items, some different monsters, and a variety of “special” rooms (the ‘s’ stands for special in the name). This is pretty much the last version of rogue I had laying about waiting for restoration. I started Friday the 13th and finished on Thursday the 19th. I didn’t find time to actually release until now, but I haven’t touched the code after the deadline ended. Following a proud tradition of roguelikes, this is a game about a thief. Taking this concept to its logical extreme, it puts a heavy emphasis on stealth and advanced forms of movement. In fact, it contains no winnable combat, and the only enemies comparable to monsters in normal roguelikes should generally be avoided at all costs. Gape in awe at Stu’s rusty bucket, and find out about his roguelike game in the works: Cracks and Crevices, which got it 0.3 version some time ago now be sure to also check out his cRPG, FishGuts… looking nice! The 0.4 release is shaping up very nicely, I’ve put in a ‘win state’ which is not the true end game but its enough to keep to the game winnable for the time being and give players a goal for early releases. Anyhow, the game sports semi realtime movement and a classic theme… worth checking!